At HPM Insurance we understand the complexities of New Hampshire Workers Compensation Insurance which is a vital component of any business's protection plan. It is a critical coverage because it not only protects the health and well-being of your valued employees, but it is one of the few coverages mandated by law. If you choose not to purchase this coverage, either deliberately or unintentionally, the fines levied by a state could be financially devastating, as well as having to bear the responsibility of paying a claim without the assistance of insurance. What is Workmans Comp Insurance? Workers Comp is mandated by state and federal laws, which obligates an employer to pay specified medical, disability (lost wages), rehabilitation and death benefits for their employee's job-related injuries and diseases. This obligation exists regardless of whether the employer was at fault or not. In theory, this benefit prevents an employee from suing an employer for such injuries or diseases. Accordingly, Workmans Compensation provides coverage for benefits an insured employer is obliged to pay under the law and employee injury claims made against insured employer that are not covered by such laws. 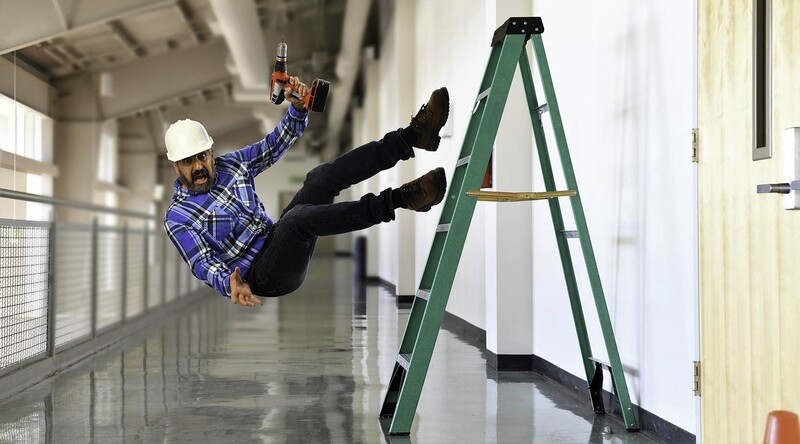 When Do I Need to Buy a Workers Compensation Policy? According to state law, a business is required to buy a policy as soon as there is an employee. This includes part-time, volunteers, temporary, immigrant, undocumented and even family members. How Much Does a NH Workmans Comp Policy Cost? The premium for a policy is primarily determined by your payroll, how your employees are classified by job function and any past claims history. For example, obviously a roofer has a greater potential for a claim than an office administrator so the rate applied per $100 of payroll to the roofer would be more expensive. It is very important to keep accurate payroll records as Workers Comp is considered an audit-able policy. This means that the quote estimated for your business at the start of a policy is subject to change based on the actual information discovered by an auditor at the end of the policy term. It is beneficial to estimate your payroll as realistically as possible at the start of a policy because this premium can be paid over installments. If you experience an audit that results in owing the company money, that is typically due upon receipt of the bill. What if I Only Work with Sub-contractors? The state defines who is an who is not an employee not you. Just because a subcontractor is not on your payroll, does not mean that the state will not define him/her as an employee if injured. The Department of Labor makes the distinction with 7 very specific qualifications to determine the employment status of someone working for you. For these specifications, refer to the Difference Between a Subcontractor and Employee in NH blog. Do I Need to Buy Workmans Compensation If I am a Sole Proprietor? You are not required to buy Workmans Comp by law but it may be safer to do so for the minimum premium in case you have someone help out now and again or use a subcontractor. Why Buy Workers Comp at HPM Insurance? As you can see, Workmans Compensation can be complicated. Given the severity of the laws and potential expense associated with not having the right policy, working with a reputable agency like HPM Insurance. We were founded in Milford and have convenient offices in both Amherst, Bedford, Bristol, Franconia and Laconia. We can help you navigate the rough waters of work comp. Whether it is trying to ensure your employees are classified correctly or working through an audit or claim, HPM Insurance has experienced insurance professionals who can give you the guidance you need. Contact us now as we have been helping businesses throughout New Hampshire and New England since 1860. We would be happy to discuss the needs of your business and provide you with a no obligation quote. Please call 603-673-1201 or 800-696-1209, email info@HPMinsurance.com or enter your zip code along with additional contact information and we will be happy to reach out to you directly. We look forward to hearing from you.